In addition to natural disasters, scientists now project that climate change will drive an increase in congenital heart defects. As excessively hot days become more intense and come more often, investigators predict that the heat exposure may affect fetuses that are developing, especially during early pregnancy, in the 3 to 8 weeks after conception. According to a new study published by the American Heart Association, the increased burden of congenital heart defects could particularly affect pregnant women in the South, Northeast, and Midwest regions of the United States. 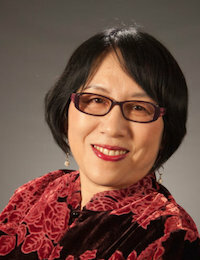 "Our findings underscore the alarming impact of climate change on human health and highlight the need for improved preparedness to deal the anticipated rise in a complex condition that often requires lifelong care and follow-up," said study senior author Shao Lin, MD, PhD, MPH, professor in the School of Public Health at University of Albany, New York, in a statement. "It is important for clinicians to counsel pregnant women and those planning to become pregnant on the importance of avoiding extreme heat, particularly 3-8 weeks post conception, the critical period of pregnancy." Investigators used climate change forecasting data to anticipate the increase in intensity, frequency, and duration of heat events during the projection period of 2025 to 2035. They then used baseline information about congenital heart defects from an earlier study, also led by Lin, that measured the risk of congenital heart defects based on maternal heat exposure for pregnancies and births from 1997 to 2007. The study focused on 8 representative states from different US regions: Arkansas and Texas (South), California (West), Iowa (Midwest), North Carolina and Georgia (Southeast), New York (Northeast), and Utah (Southwest). They calculated that the American Midwest is likely to experience the highest median increase in maternal exposure during the summer to excessively hot days (3.42; 95% CI, 2.99–3.88 per pregnancy), heat event frequency (0.52; 95% CI, 0.44–0.60) and heat event duration (1.73; 95% CI, 1.49–1.97). The study authors projected an increase of 7000 additional cases of congenital heart defects over the study period of 2025 to 2035 in the 8 study states. "Our results highlight the dramatic ways in which climate change can affect human health and suggest that pediatric heart disease stemming from structural heart malformations may become an important consequence of rising temperatures," said the leading author Wangjian Zhang, MD, PhD, a post-doctoral research fellow at the University of Albany, in a press release. The investigators suggested that these results can provide guidance to policy makers as they prepare for and work to mitigate the impacts of climate change. Lin advised that pregnant women avoid excessive heat, especially during early. "Although this study is preliminary, it would be prudent for women in the early weeks of pregnancy to avoid heat extremes similar to the advice given to persons with cardiovascular and pulmonary disease during heart spells," suggested Lin. The study, “Projected Changes in Maternal Heat Exposure During Early Pregnancy and the Associated Congenital Heart Defect Burden in the United States,” was published in the Journal of the American Heart Association.